Fast Company‘s exclusive profile details how Kalanick once accused a taxi driver of ripping him off–long before he started Uber. More than 10 years before creating Uber, CEO Travis Kalanick joined the founding staff of Scour, a search engine that used peer-to-peer file sharing to distribute movies and music. As Max Chafkin writes in Fast Company‘s exclusive profile of Kalanick, the company was a “proto-Napster” for which Kalanick managed product, business development, and marketing. Though Scour grew quickly, it was slammed with lawsuit after lawsuit due to copyright issues; eventually, Scour’s most generous backer refused to further invest in the company, and it was forced to file for bankruptcy. Kalanick took the experience as a personal affront. He turned around and converted Scour’s file-sharing technology into RedSwoosh, a platform through which media companies could easily share large video files. 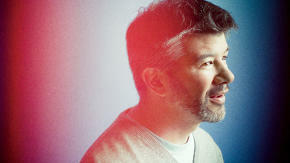 (At startup conference FailCon, he called RedSwoosh his “revenge business.”) The company failed to take off–so much so that Kalanick was soon its lone employee. Still, he pressed on until he was able to land an investor and sell RedSwoosh to a competitor in 2007. When asked why he didn’t throw in the towel earlier, Kalanick says that RedSwoosh was an “abusive partner” that he just couldn’t quit. “You can’t control who you fall in love with,” he told Fast Company. Kalanick came away from the experience with a profound sense of relief and also a bit of a problem with authority. One evening, he got into a confrontation with a nightclub bouncer who’d asked him to step away from the club. Kalanick complied but later refused, citing that the sidewalk was public space, and was arrested.